Sometimes the simplest solutions to problems are the best way to go and that’s what I have here. Since we’re spending more time in front of the computer than ever before and perhaps more so than in front of the television for some of us, it means we’re most likely eating whilst surfing the net. A solution to keeping your MacBook or MacBook Pro keyboard in tip top condition. 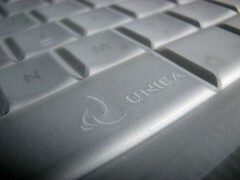 The Uniea keyboard cover is made of a silicone material much like the hundreds of iPod cases on the market today. Only this is moulded and shaped to fit the keys on your portable Mac. Available in pink, blue or transparent, the Uniea keyboard cover protects crumbs, dirt and general wear and tear from your keyboard, so no more having to get in between the cracks to get out those biscuit crumbs or dust that often finds its way underneath the keys. 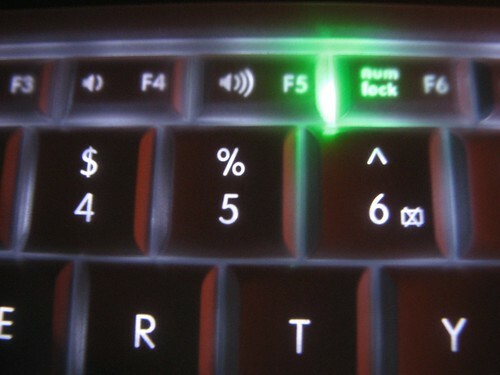 The transparency of the cover is enough so that the backlight on your keyboard will still continue to shine through quite easily. There is also a second purpose other than to protect the keyboard. The first thing I noticed when I put this cover on is when I started typing, the keys felt a lot softer and quieter. 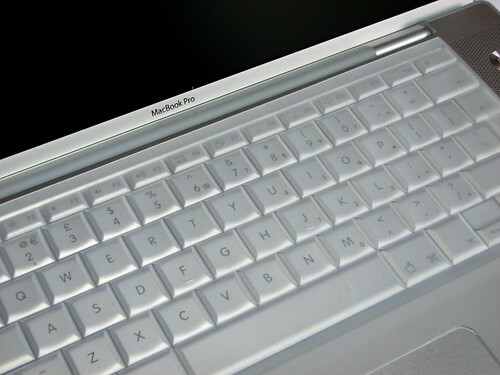 It made typing on the keyboard more pleasant in a way as each key was cushioned. The cover is made of 100% silicone, it is removable and washable. After using it for a couple of weeks I could see that the dirt build up was starting to get a bit icky, so I just removed it and rinsed it under the sink. There’s no adhesive or any sticky substances involved in attaching this keyboard cover to your Mac, so it’s removable and transferable. 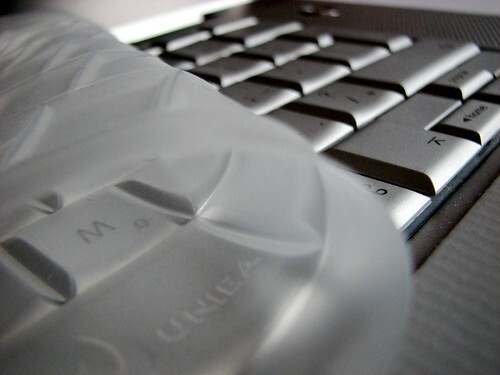 Just one complaint I have about this keyboard protector is the mould for the Enter key. It hasn’t been moulded correctly or it’s been moulded to suit the PowerBook G4 rather than the MacBook Pro. It’s only a minor criticism and it doesn’t detract or make it unusable so despite the review period is over, I’m leaving the Uniea keyboard protector on. I’ve got a MacBook Pro and I do find myself eating whilst using it, especially when I’m out of the house. The $20 asking price is a reasonable asking price considering the value that this brings to the user and if you enjoy eating food whilst using your Mac then there is no better solution to keeping your keyboard clean.